Kennedy Haulage have many years experience in the crane hire industry and we fully understand our customers requirements. 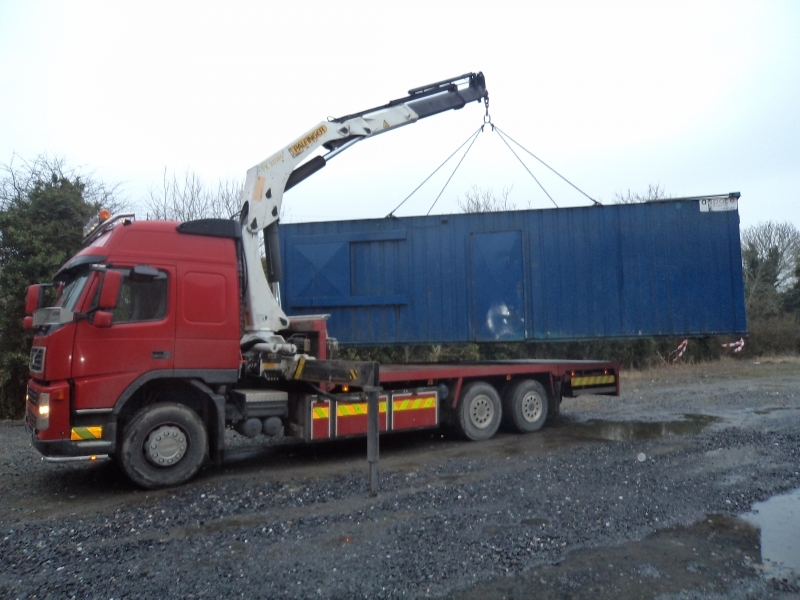 Our truck crane hire and lifting service provides on-site relocation and installation. Our truck mounted crane hire can save you the customer the additional cost of hiring a mobile crane and we can cater for most requirements. Here are just a few of the lifting operations that our truck mounted cranes carry out on a regular basis. Transportation and lifting of steel work and materials to high level and equipment to basement level. Lifting and transportation of plant and machinery including factory moves. 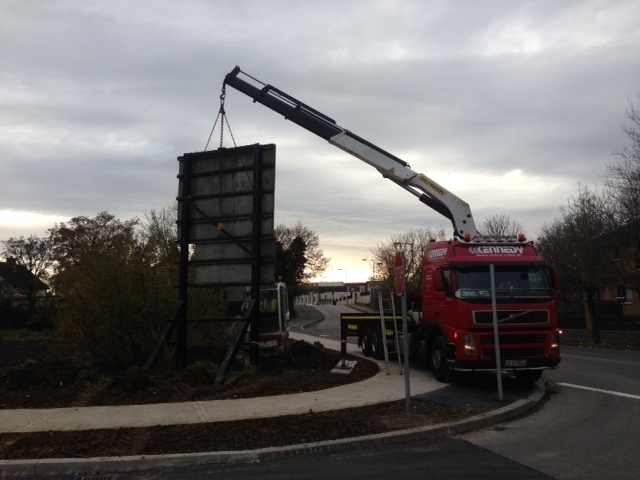 Transportation and positioning of advertisement/road signage. Lifting and transportation of equipment to high/low level.